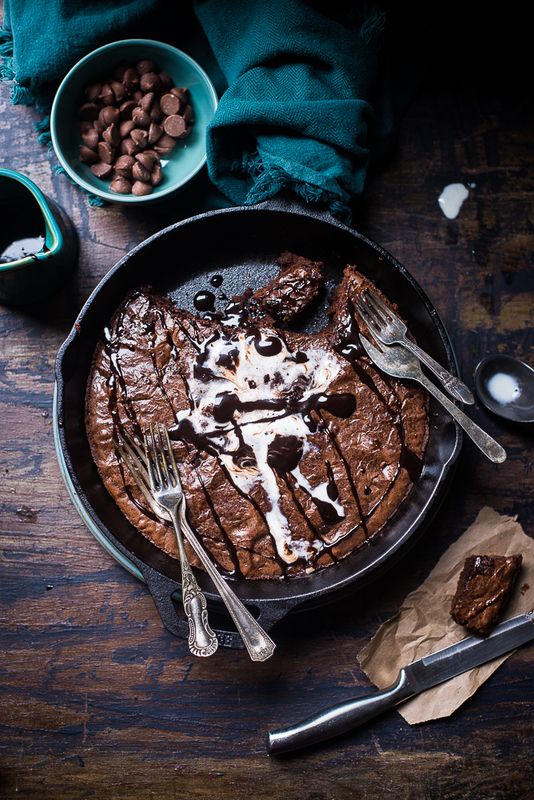 I am sure most of you love to have the rich dense fudgy brownie. But have you ever tried to make it from scratch at home? Once you do that, you would never buy a box from the shops. I always prefer to make brownies from scratch and doing so for the last couple of years. Generally, I use my baking pan to make it. 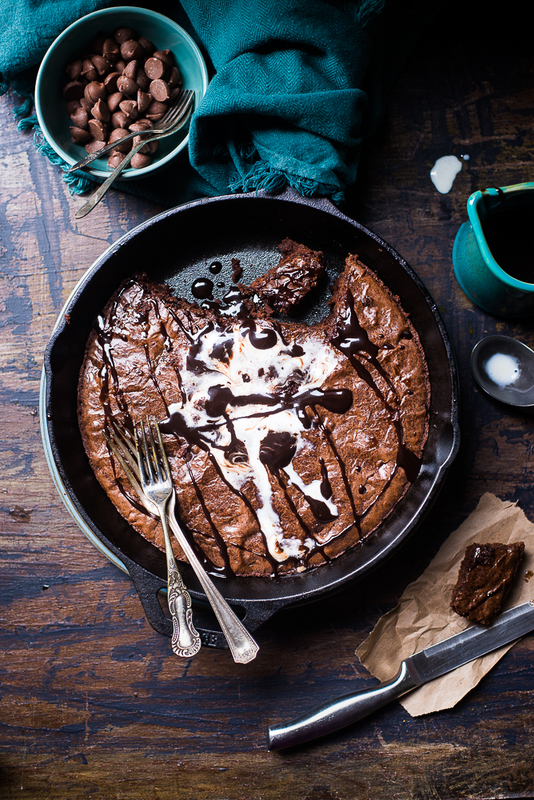 I never knew cast iron pans are also very good for baking unless I have tried them last week. You won’t need any mixing bowls for this recipe, everything happens in the cast iron skillet. 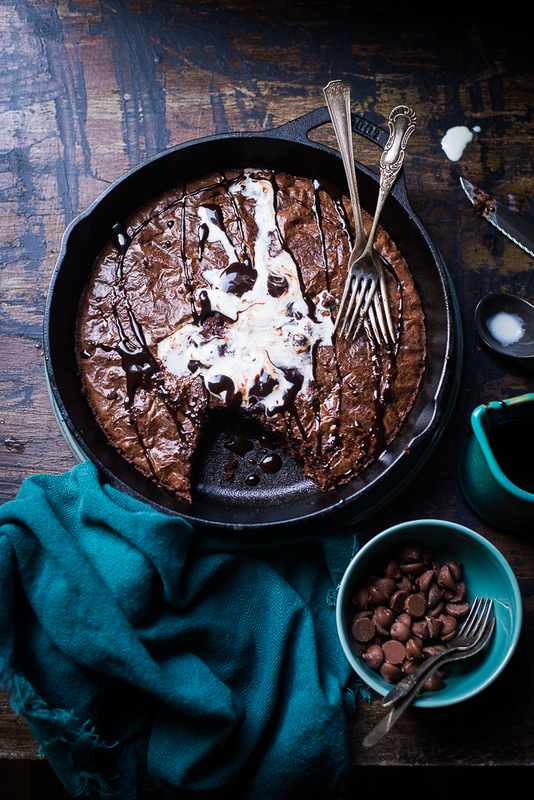 Baking brownies in a preheated cast-iron skillet give them a crunchy crust. Earlier I stopped using my cast iron skillet because of rusty smell but recently I learned from a post on Facebook about how to clean and take care of iron skillet. Two main things you have to remember when you are using cast iron skillet that you have to avoid soaking the pan and don’t leave the pan in the sink. Then just after cleaning make it dry, take a teaspoon of cooking oil and rub it well. It worked like magic, after very minimal effort there is no rust on my pan !! I love making brownies in skillets for another reason too. You don’t need to wait for the brownie to cool down before cutting. 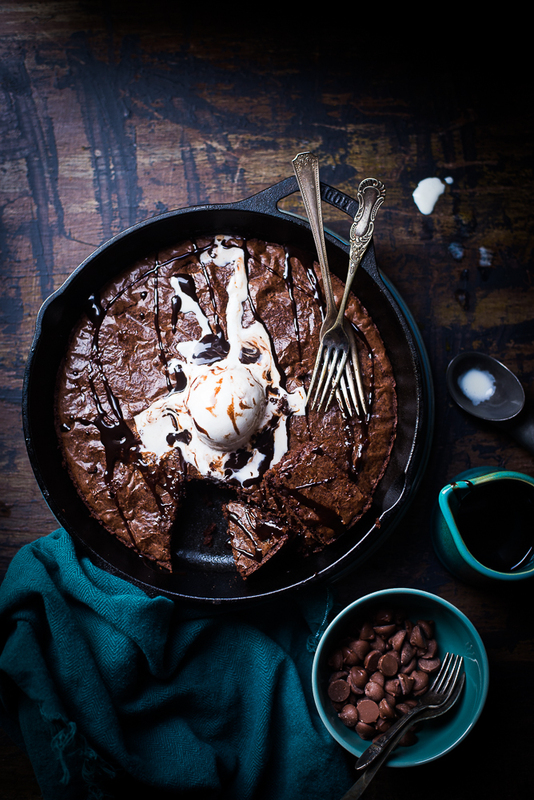 A skillet brownie is made for digging in right away. Please serve warm brownies with a thin stream of hot fudge sauce and topped with a scoop of vanilla ice cream. It's delicious! If you don't have cast iron pan, the same recipe will work with your baking pan too. 1. Preheat the oven to 350 degrees F. Grease the skillet or a square baking pan. 2. Take a large bowl add water to it. Simmer the water. Now take a medium bowl add butter, 4-ounce chocolate chips, and unsweetened chocolate to it. Place the bowl in the hot water bowl until smooth. Set it aside and let cool for about 10 to 15 minutes. 3. Take a large bowl, add the eggs, vanilla extract and sugar to it. Stir it well. Add the chocolate mixture to the egg mixture until it is well combined. 4. In another bowl, add flour, salt, and baking powder. Mix it well. Add flour mixture to the egg-chocolate mixture. Stir it until combined. 5. Now take the half cup of chocolate chips and one tablespoon of flour to a bowl. Toss it together. Add the chocolate chips to the brownie batter. Fold them in. 6. Pour the mixture into a prepared skillet and bake for 25 to 30 minutes until it done. Serve it warm with a scoop of vanilla ice cream and a drizzle of hot fudge sauce. 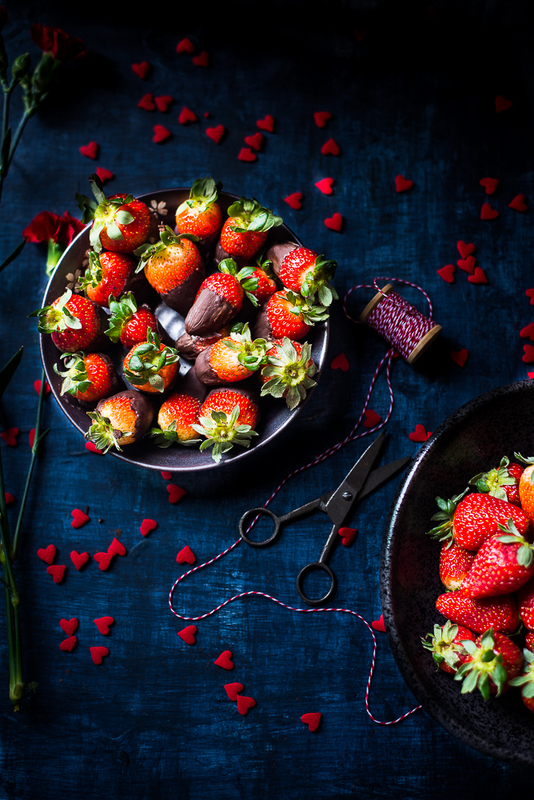 As soon as the new year’s celebration gets over, the blogger’s world starts sharing the recipes for Valentine’s day. Facebook and Instagram feeds are flooded with chocolate desserts or heart-shaped cookies and cake. This year I had no plan but after seeing these nice posts, I too started thinking about what I can make for Valentine’s day. My goal was not to give much effort but still, my family can enjoy it. None of the boys in the family is a big fan of desserts. The little one eats dessert only if it is made of chocolate or got the same flavor. 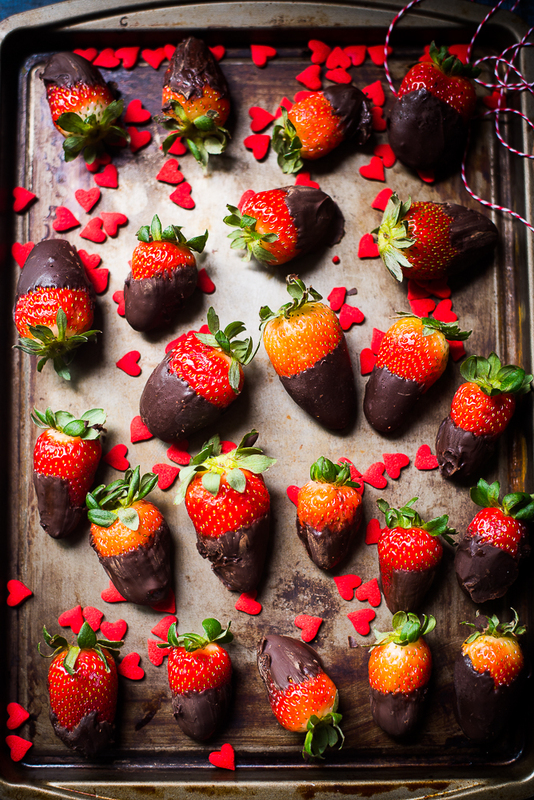 So thought it would be nice if I can make some chocolate-Dipped Strawberries for them. 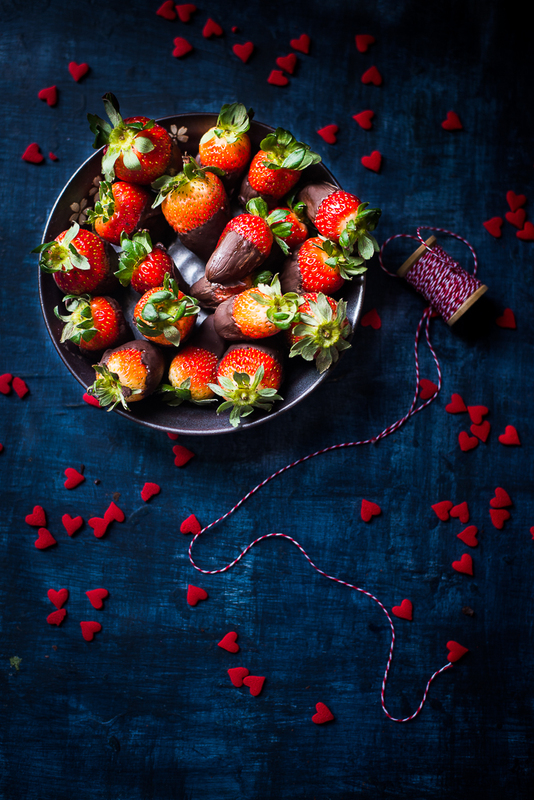 Though this delicious dessert is very popular as valentine’s day treat, you can make it for your anniversary or any other candle-night romantic celebrations. Not only it’s wonderful to eat, it looks very beautiful too. If you want to serve this awesome dessert for your next party, get ready with big juicy strawberries and chocolate of good quality. 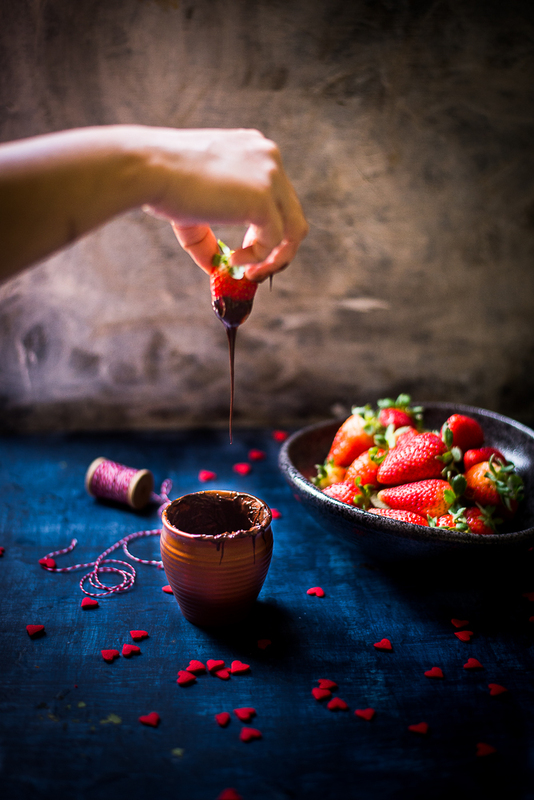 Then melt the chocolate and dip your strawberries in melted chocolate. If you want to add some variety there are so many delicious possibilities. For example, you can dip them in candy sprinkles, chocolate chips or chocolate cookie crumbles. Be creative as you can, serve them with champagne or your favorite red wine. 1. Pat dry the berries with a paper towel. Lina a baking sheet with parchment paper. 2. Melt the chocolate. Take a saucepan, add 1 inch of water and simmer it. Then take a heatproof bowl add chocolate to it. Place the bowl in the water. Chocolate will start melting in a couple of minutes. You can use the microwave to melt it. Once Chocolate is soft add the oil and stir well to mix. 3. Hold the stem and dip the strawberries one by one into the chocolate until 1/2 or 3/4 of the strawberry is coated with chocolate. 4. Gently drop off the excess. 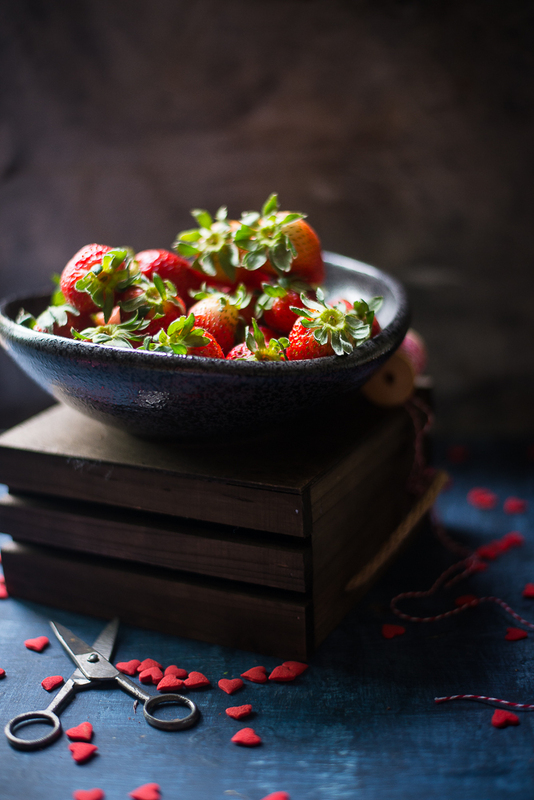 Place the dipped strawberries on the parchment paper and immediately roll in toppings or sprinkle them on if you want to decorate it. 5. Refrigerate the strawberries for about 30 minutes till the chocolate sets. Serve the chocolate Strawberries chilled or at room temperature. 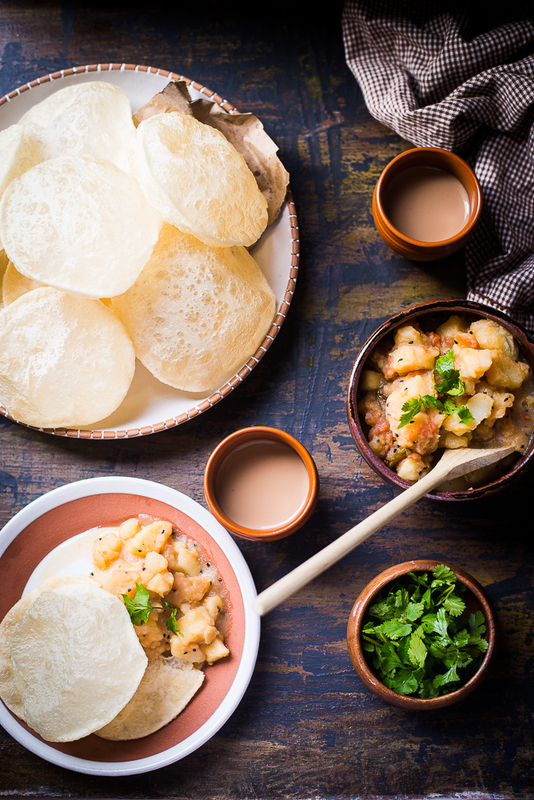 After eating milk with cereals, Granola or Yogurt from Monday to Friday, when the weekend comes, Bengali hearts yearn for some Luchi with plain Aaloo Tarkari aka alu charchari. 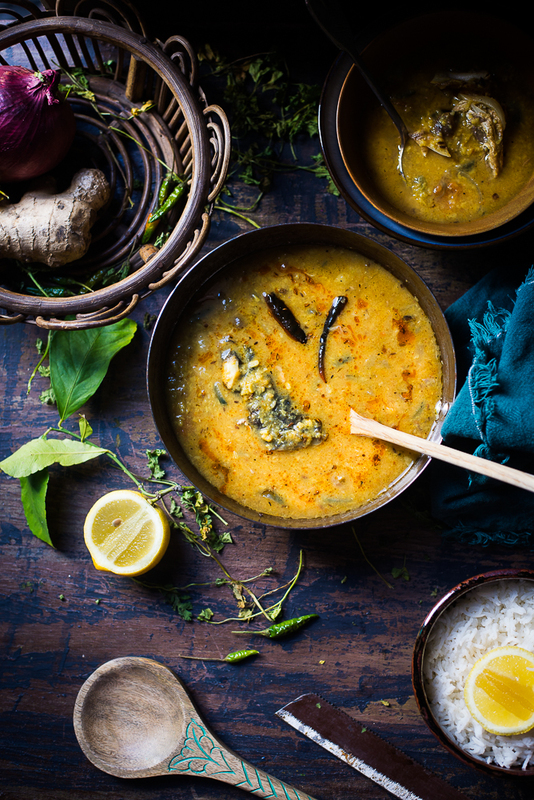 Without any doubt, this is an ideal breakfast for all Bengali on any weekend. Though it’s mainly popular as breakfast, you can serve this combo during any time of the day. 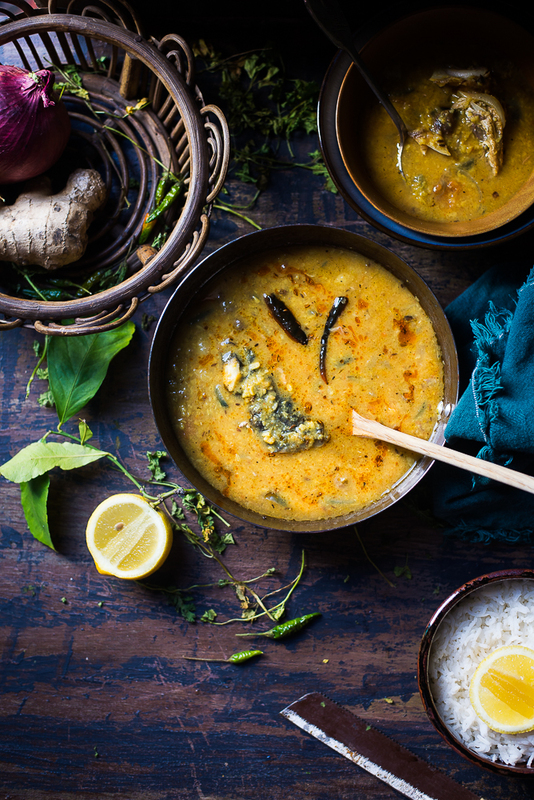 This delicious duo never fails to win any Bengali's heart. 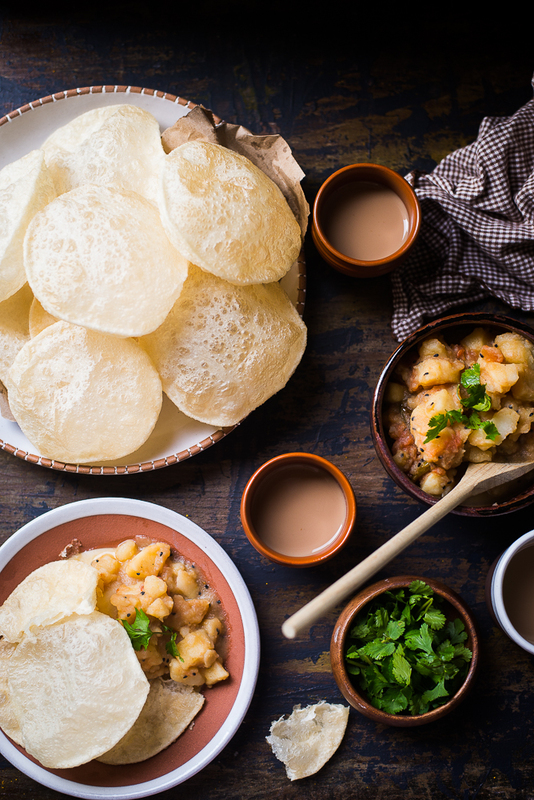 Luchi which is commonly known as Poori in other parts of India than Bengal, is a deep-fried and flat bread, made of refined wheat flour, also known as Maida flour. To make Luchis, at first a dough is prepared by using all-purpose flour, ghee or oil and water. Then it’s divided into some small balls. The balls are flattened using a rolling-pin and then deep-fried in oil or ghee. There is a slight difference between Luchi and Poori. Atta or wheat flour is used in Poori instead of all-purpose flour. 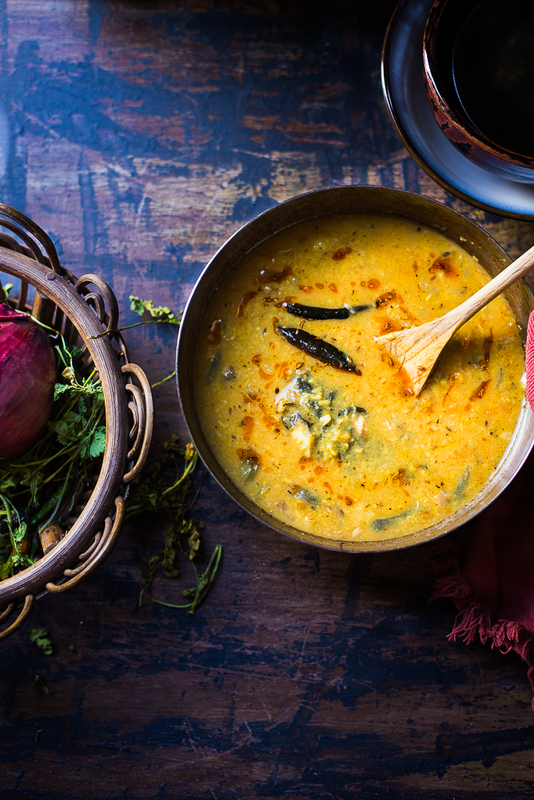 Luchis are always served with curries. 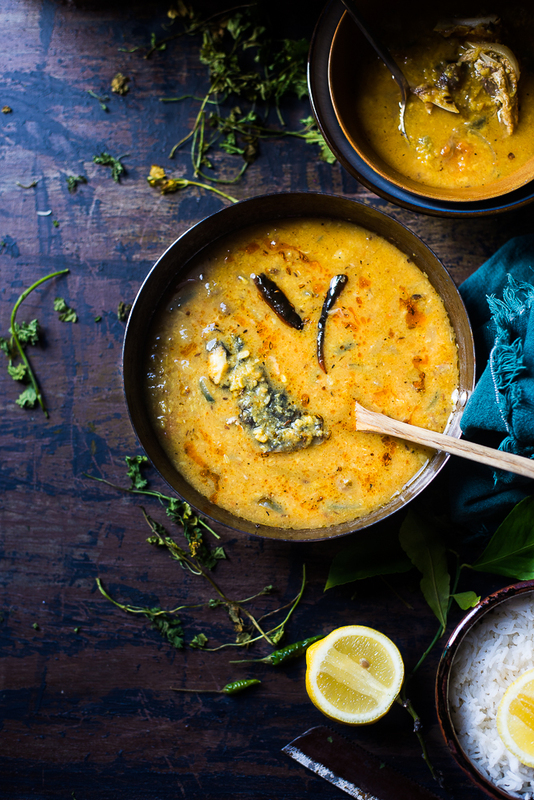 Most of the time it’s enjoyed with Alu-r Dom, Chola-r Daal, Begun Bhaja or plain Alu-r Tarkari. 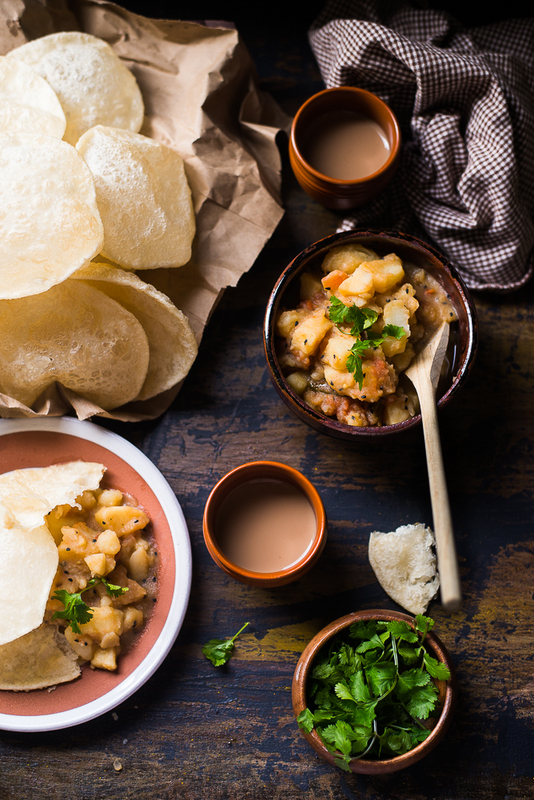 Most people will agree that Luchi goes best with Alu-r Tarkari or Aalu Charchari. 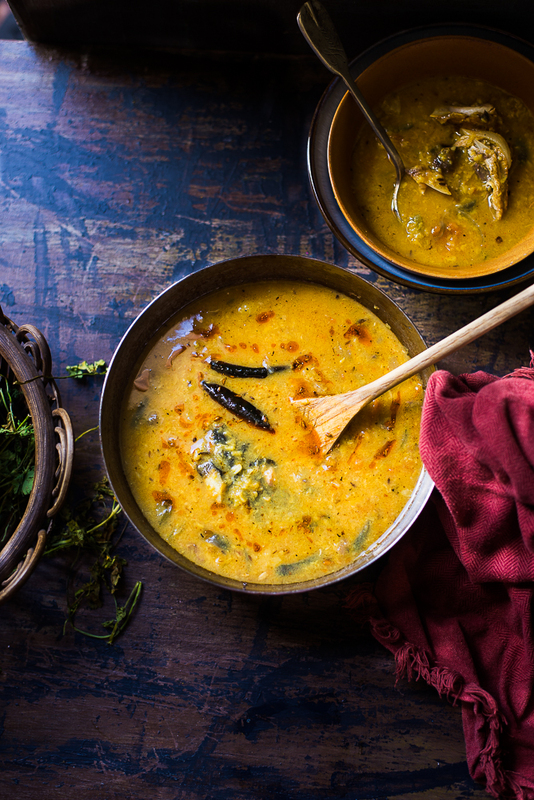 Sada Alur Tarkari is simple Potato Curry flavored with Nigella seeds and green chilies. 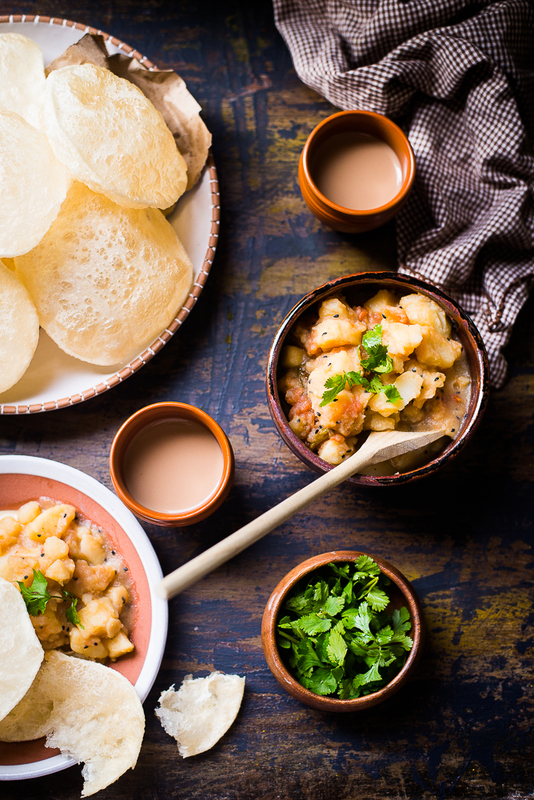 Today I am here to share with you how to make Luchi and Alu charchari. 1. Mix maida and salt together. Add oil to the maida. Mix it well with your fingertips. Add water to make the dough. Add water little at a time and knead it. The dough should be soft and smooth. Once it is done cover it with a damped kitchen towel and let it rest for half an hour. 2. Make small balls out of the dough. Roll it between your palms and make it smooth balls. Grease your cleaned kitchen counter top with a little bit of oil. Now flatten the balls with a rolling pin to make even circles. 3. Take a deep-frying pan, add oil and heat it up. The heating of the oil plays a very important role in frying luchi. Oil should not be very hot or cold. If it is cold luchi will not puff up. If it is too hot the color of Luchi will be brown. Most of the people love to eat whitish Luchi. So keep the flame on medium-high. When you will see the little smoke coming out of the oil that means oil is hot. Fry luchis one by one. Gently press the edges of luchi down in the oil. It will help to puff up. Once one side is puffed up turn it. Using a slotted spoon drain it out from the oil. Repeat the process until all are done. 1. Take a pan, add oil and heat it up. Add green chilies and nigella seeds. Once aroma comes out and it will start spluttering add the potatoes. Fry it on medium heat. Add salt and cover it. 2. Stir it again, once the potatoes are half- cooked add the tomato. Stir and let it cook until tomato is soft and mushy.